Platelet-rich plasma (PRP) therapy is the cutting-edge of regenerative medicine, and its uses extend beyond relieving joint pain and healing injuries. 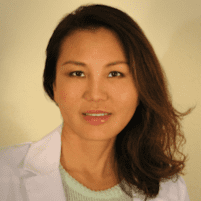 Amy Chow, MD, an aesthetic medicine and anti-aging specialist at Dr. Chow's Rejuvenation Practice in Lee’s Summit, Missouri, offers the latest PRP therapies for skin rejuvenation and to treat hair loss. This all-natural approach to reducing the effects of facial aging and to promote new hair growth is ideal for men and women looking for a natural approach to aesthetics. Is PRP therapy right for you? Call for an appointment or schedule online. Platelet-rich plasma (PRP) is the liquid in your blood that contains a high concentration of platelets. Platelets are the ingredient that helps your blood clot, and they also contain hundreds of proteins, or growth factors, which are important to your body’s ability to heal itself. In addition to healing, these growth factors promote new cell development, so when a member of Dr. Chow’s Rejuvenation Practice team injects PRP into areas of your face, it prompts your body to produce new collagen and you enjoy the benefit of younger-looking skin. PRP also can be used to generate new hair growth for men and women experiencing hair loss or the early stages of male pattern baldness. To begin your PRP treatment, an experienced member of Dr. Chow’s team draws a small amount of blood from your arm. A centrifuge separates the blood components, so your provider can then inject your own platelet-rich plasma into the area of your face that you want to rejuvenate, or into your scalp to promote hair growth. The growth factors in the plasma stimulate your skin to grow new, healthy cells to replace the older ones, or the ones that no longer produce hair. PRP therapy regenerates and rejuvenates new growth, so after a few treatments and a couple of months, you notice visible results. What health risks are involved with PRP? Since the platelet-rich plasma for your face or scalp treatment comes from your own body, health risks are minimal, if any. There’s practically no risk of allergic reaction from the PRP because it’s from your own blood. This makes PRP a viable alternative for men and women who are concerned about allergic reactions to the medications in pharmaceutical injections like some dermal fillers or Botox®. As with any type of injection, there’s a risk of infection at the injection site but it’s highly unlikely. Since PRP is low-risk and safe, it may be the ideal solution if you’ve considered cosmetic treatments to improve the appearance of your skin, or you’re looking for an all-natural hair-replacement treatment. Call the office or use the online booking tool to schedule an appointment with a member of the medical aesthetic team.